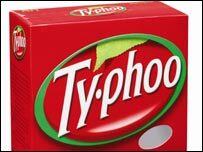 Typhoo tea has been sold to India's Apeejay Surrendra Group for £80m ($140m) by its UK owner Premier Foods. The deal will see Apeejay buy Premier's entire tea business, which also includes the London Fruit & Herb, Lift and QT brands. Premier's tea blending and packing unit at Moreton, Wirral, which employs 249 people, is also included in the deal. Typhoo - which was launched in 1903 - is the third-biggest tea brand in Britain, behind PG Tips and Tetley. Premier Foods sells 23 million packets of Typhoo each year. The company said it would use the money from the sale to cut debts. "Typhoo is a great brand but after a thorough review we believe it will benefit from the focus and investment a vertically integrated tea business like Apeejay can bring," said Premier's chief executive Robert Schofield. Apeejay Surrendra Group has a wide range of business interests, including tea, retailing, shipping, financial services and property. Its tea business is one of the largest in India, with a workforce of 40,000 and more than 30,000 acres of plantations. "The business (Premier's) has strong growth potential, a well-run factory and a committed and experienced workforce," said Apeejay chairman Karan Paul. "We are confident that our commitment to increasing the investment both behind the brands and own label business, combined with our extensive tea experience, will enable us to build market share and further grow the business." Also on Thursday, India's Tata Tea said it was buying US tea brand Good Earth through its subsidiary, Tetley US Holdings. Tata did not reveal how much it was paying for the business, but said that Good Earth had a 3.7% share of the US speciality tea market and a turnover of more than $16m. "This acquisition is an important contribution to our plans for growing the Tata group's tea business around the world," said Ken Pringle, chief executive of the Tetley group. Tata Tea - the world's second-largest branded tea company - bought the UK's Tetley in 2000.